The Wisconsin Stern Steering Association regatta for 2018 has been tentatively called on for January 13 and 14. The site selected is Pewaukee Lake, west end. Final confirmation will be made by 1 PM Thursday, January 11. 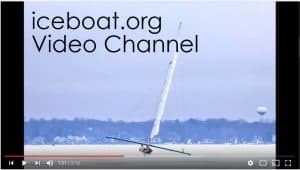 Check back here or call the Iceboat Hotline at 608-204-9876. Conditions are 15″ of ice with two ramps available. There is still some snow on the lake but it is expected to melt this week.